At Omron, we deal with our customers on the basis of a trusting relationship. As a world leader in automation control we have a broad capacity to provide systems and solutions using a diverse range of products and components. The Oceania region covers a vast distance incorporating Australia, New Zealand, Papua New Guinea and the islands of the South Pacific. From micro-relays to advanced sensors, Omron Asia Pacific's Industrial Business Group offers the industry's most complete line of advanced, high-quality products to meet the needs of its customers. These products can be found in both consumer products and commercial applications. 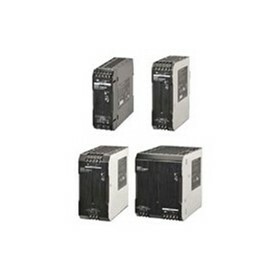 Omron relays and switches play an important role in the operation of household appliances, automobiles and machinery. Temperature control devices ensure the efficiency of heating and air-conditioning devices as well as monitor annealing ovens on manufacturing lines. Sensors and programmable controllers automate control on manufacturing lines. 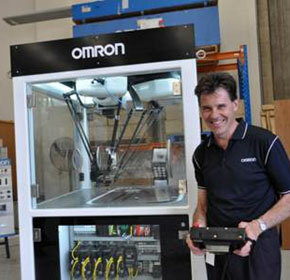 For all these products, Omron works with customers to create effective, cost-efficient solutions. "At work for a better life, a better world for all". 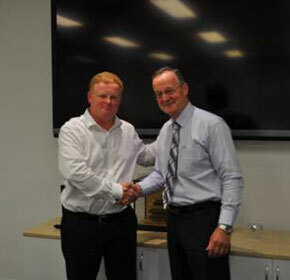 Omron, a global leader in industrial automation, has signed a new partnership agreement with Visy Automation to supply state-of-the-art automation equipment over the next two years. The new Delta-3 Robot from Omron can increase productivity and significantly reduce operating costs. Omron introduces Smart Fiber Amplifier with improved basic performance on sensing distance and minimum sensing object using N-Smart Technology.